ITEMS MUST BE PAID ONLINE BEFORE PICK-UP! 10% Buyer's Premium on all lots sold. 10.1% WA Tax Applied Re-sellers: To avoid tax, submit your re-sellers permit# when registering. 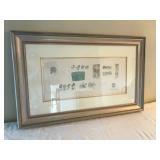 Beautiful "Universal Furniture" Mable Top Side Board, Ornate Dining Room Table, Furniture, Beautiful Original Signed Artwork, Kitchenaid Mixer, Golf Equipment, Boeing Items, Clothing, Rolex Watch, Fishing Gear, Tools & So Much More!! Click on the link below to join in on the fun!! 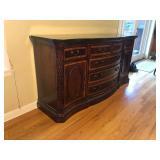 Lot # 1 - Beautiful Marble Top Side Board "Universal Furniture" - (36"t x 72"w x 20"d). 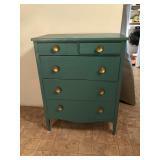 Lot # 2 - Nice Wood Entryway Cabinet w/ Brass Accents - (32.5"t x 36"w x 14"d). 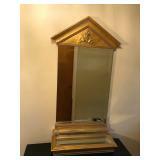 Lot # 3 - Beautiful Gold Toned Mirror w/ Shelf & Beveled Glass - (Mirror - 42"t x 25"w, Shelf - 3"t x 22.5"w x 8.5"d). 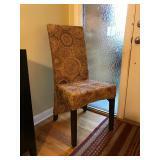 Lot # 4 - Nice Jute Wrapped Entryway Chair. 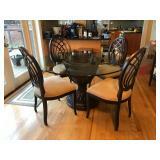 Lot # 5 - Beautiful Glass Topped Ornate Wood Dinning Table & 4 Chairs "Bombay Co." - (30"t x 54" Diameter). 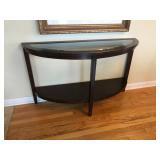 Lot # 6 - Wood Wall Huger Table w/ Beveled Glass Top - (30"t x 50"w x 16"d). 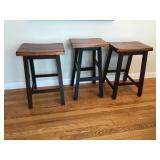 Lot # 7 - Three Nice Wood Bar Stools - (2 Matching - 24"t x 17"w x 12"d, Single - 26"t x 15"w x 11"d). 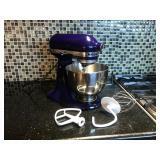 Lot # 8 - Blue Kitchenaid Ultra Power Mixer - (Works). 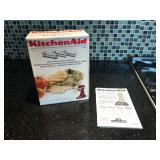 Lot # 9 - Kitchenaid 3 Piece Pasta Roller & Cutter Set Attachment. 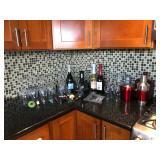 Lot # 10 - Ninja Kitchen System 1100 - (NJ602 Series, Works). 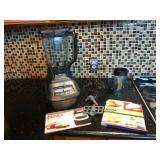 Lot # 11 - Like New Omega Juicer w/ Book - (Model# 8006, Works). 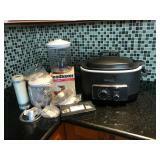 Lot # 12 - Wolf Gang Puck Electric Spiralizer, OXO Mandolin, Crockpot. 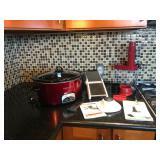 Lot # 13 - Ninja 3-N-1 Cooking System, Food Saver Canisters, Food Saver Bags & More. 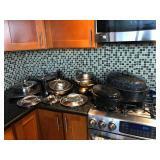 Lot # 14 - Nice Selection of Pots & Pans & More. 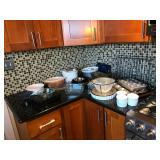 Lot # 15 - Nice Selection of Bakeware: Muffin Tins, Cooling Racks, Bread Pans, Bundt Pans, Pie Plates, Pyrex & More. 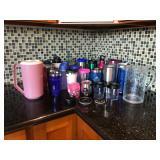 Lot # 16 - Pitchers, Water Bottles, Insulated Coffee Mugs & More. 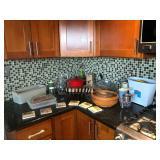 Lot # 17 - Odds & Ends: Egg Tray, Baskets, Glass Pitchers, Martha Stewart Cast Iron Enamel Dutch Oven, Pampered Chef Grater. 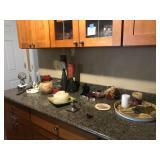 Lot # 18 - Nice Selection of Oneida Flatware, Can Openers, Knives & Block, Large Cutting Board, Storage Containers & More. 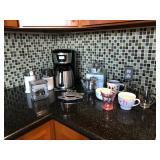 Lot # 19 - Two Hiware Glass Teapots, B&D Coffee Maker, 2 Coffee Grinders, Mugs & More. 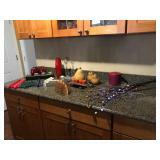 Lot # 20 - Rabbit Wine Opener, Shaker & Ice Bucket, Wine Glasses, Wine Stoppers & More - Owner is Throwing the Wine in for Free. 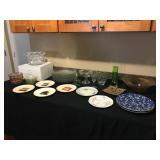 Lot # 21 - Platters, Bowls & Napkin Rings. 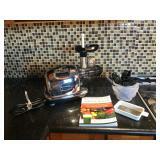 Lot # 22 - Woman's Day Encyclopedia of Cooking Vol. 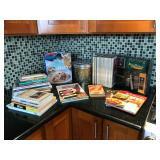 1-12, Vintage Cookbooks, Smoked Salmon & Cheese Box, Popcorn & More. 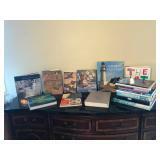 Lot # 23 - Nice Selection of Large Coffee Table Art Books from Around the World. 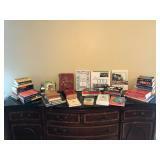 Lot # 24 - Nice Selection of Misc Books: 1885 St. Nicholas, Golf, Fairy Tales, Exercise, Novels & Much More. 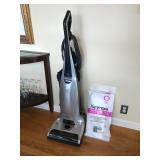 Lot # 25 - Kenmore Elite Vacuum Cleaner w/ Bags. 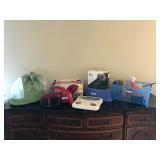 Lot # 26 - Bissell Little Green Shampooer, Handheld Dirt Devil Vacuum, Scale, Plastic Bin w/ Cleaning Supplies. 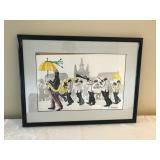 Lot # 27 - Original Artwork "Olympia Brass Band New Orleans" Signed: E. Sorrow - (17.5" x 24"). Lot # 28 - Original Oil on Canvass Signed: Austin? - (32" x 25"). Lot # 29 - Original Pastel on Canvass "Pink Panther" by: Local Artist Pat Karlock - (22" x 28"). 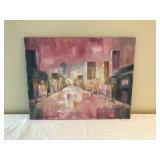 Lot # 30 - Awesome Piece of Signed & Numbered Artwork by: Lebadang - (30.5" x 24"). 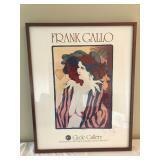 Lot # 31 - Framed & Signed Print "Frank Gallo Circle Gallery" - (28.5" x 22.5"). 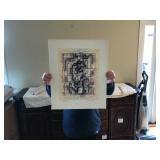 Lot # 33 - Nice Piece of Original Signed Artwork - (Unreadable Signature) - 22" x 17.5". 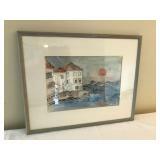 Lot # 34 - Beautiful Watercolor "Spetses, Greese" By: Evalyne. 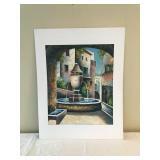 Lot # 35 - Original Watercolor by: Pat - (18" x 22"). 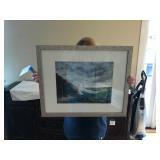 Lot # 36 - Original Signed Artwork "Moon Shadows" - (17"t x 21"). 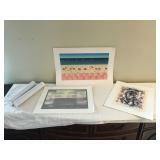 Lot # 37 - Nice original Signed Artwork of Various Sizes. 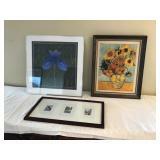 Lot # 38 - "Sunflowers" Print, Paris Print, Signed Iris Artwork - (Various Sizes). 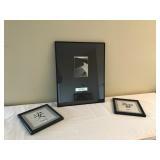 Lot # 39 - Artwork By: Ansel Adams - (20" x 16"), 2 Small Asian Prints - (9" x 9"). 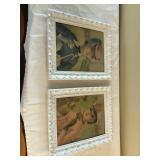 Lot # 40 - Two Adorable Vintage Prints - (14" x 12"). 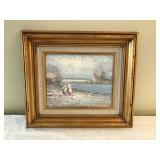 Lot # 41 - Very Nice Original Oil on Canvass Signed: Marie Charlot - (14" x 16"). 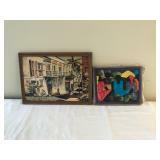 Lot # 42 - Orignal Artwork on Canvass Signed: Emm. Valcin, Haiti, Second Piece of Original Artwork. 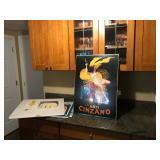 Lot # 43 - Signed & Numbered Print By: Fanch 258/300, Two Other Prints, 2 Signed Pike Place Market Prints. 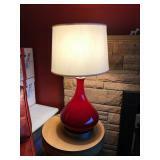 Lot # 44 - Nice Red Home Decor Lamp - (27"t). 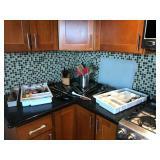 Lot # 45 - Three Sets of Mini Blinds in Good Shape - (1 @ 33"w x 57"t, 2 @ 69 3/4" x 57"t). 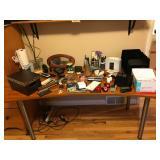 Lot # 46 - Office Supplies: Pens/Pencils, I-Phone, File Holders, Computer Mouses, Reading Glasses, Small Pic Frames & More. 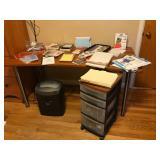 Lot # 47 - Royal Paper Shredder, Photo Paper, Pens/Pencils, Greeting Cards, Plastic Storage Bin on Wheels w/ Misc Cords. 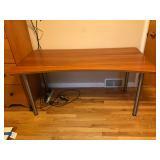 Lot # 48 - Nice Office Desk - (28.5"t x 63"w x 31.5"d). 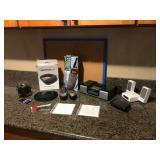 Lot # 49 - HP Envy 7645 Wireless All-In-One Printer & Misc Computer Software & Games. 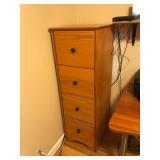 Lot # 50 - Nice Wood 4 Drawer Filing Cabinet - (54.5"t x 18.5"w x 21"d). 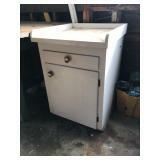 Lot # 51 - Small 3 Drawer Cabinet - (29"t x 23"w x 21"d). 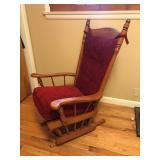 Lot # 52 - Very Nice Vintage Maple Wood Glider - (45"t x 26"w). 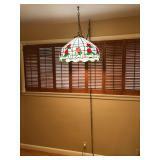 Lot # 53 - Beautiful Stained Glass Swag Lamp - (19.5" Diameter). Lot # 54 - Nice Set of Wood Window Shutters - (34"t x 94"w). 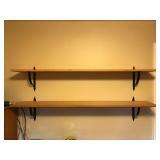 Lot # 55 - Two Wall Shelves - (61"l x 10.5"d). 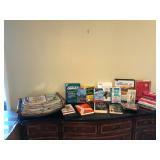 Lot # 56 - Nice Selection of Books & Magazines w/ Nice Bamboo Magazine Rack & More. 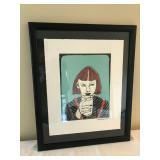 Lot # 57 - Awesome Beautifully Framed Signed & Numbered Artwork By: Lebadang 284/300 - (24" x 37.5"). Lot # 58 - Beautiful Stained Glass Sword Fish - (17" Diameter), Nice Bird Art - (29.5" x 24.5"). 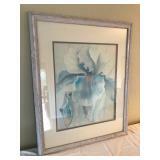 Lot # 59 - Beautiful Signed Watercolor - (30.5" x 25"). Lot # 60 - Beautiful Asian Head Dress Hat. 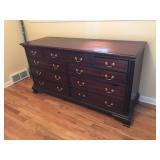 Lot # 61 - Henkel Harris 9 Drawer Dovetailed Mahogany Dresser - (34"t x 66"w x 22.5"d). Lot # 62 - Henkel Harris 4 Dawer Dovetailed Mahogany Night Stand - (29.5't x 26"w x 16"d). 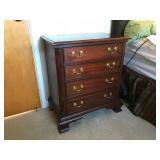 Lot # 63 - A Second - Henkel Harris 4 Dawer Dovetailed Mahogany Night Stand - (29.5't x 26"w x 16"d). 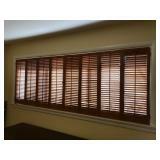 Lot # 64 - Nice Set of Wood Window Shutters - (34"t x 94"w). 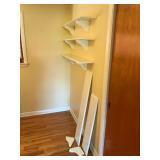 Lot # 65 - Nice Set of Wood Wall Shelves - (4 @ 48" x 8", 1 @ 36" x 8"). 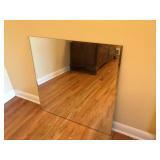 Lot # 66 - Beveled Glass Wall Mirror - (30' x 30"). Lot # 67 - Beautiful McCoy Teapot. 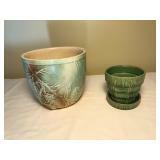 Lot # 68 - Two McCoy Flowerpots. Lot # 69 - Sugar/Creamer Set from Czechoslovakia, Tall Vase, Heavy Ceramic? Duck & More. 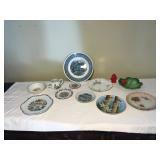 Lot # 70 - Nice Selection of Various Plates: Wedgewood Cup & Saucer, Currier & Ives, Brad Keeler Dish, State Plates & More. 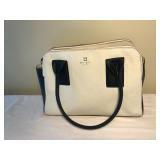 Lot # 71 - Beautiful Kate Spade Hand Bag. 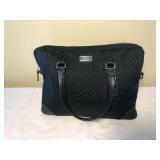 Lot # 72 - Beautiful Kate Spade Hand Bag w/ Dust Cover. 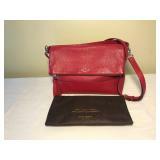 Lot # 73 - Beautiful Coach Purse. 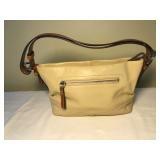 Lot # 74 - Nice Coach Purse. 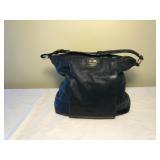 Lot # 75 - Nice Coach Handbag. 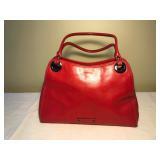 Lot # 76 - Beautiful Anne Klein Purse. 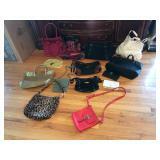 Lot # 77 - Assorted Selection of nice Purses: Betsey Johnson, Nine West, Elliot Luca & More. 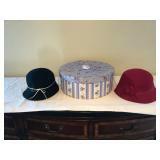 Lot # 78 - Two Amanda Smith Hats & A Hat Box. 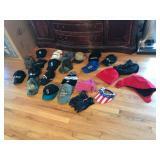 Lot # 79 - Nice Selection of Hats & Caps: Boeing, Mariners, Winter Hats, Gloves & More. 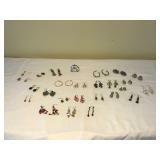 Lot # 80 - Nice Selection of Earrings, Small Rochard Limoges Purse & More. 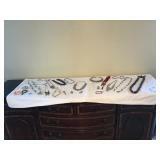 Lot # 81 - Nice Selection of Necklaces, Earrings, Bracelets, Ring, Pins & More. 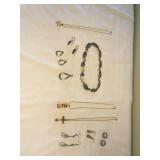 Lot # 82 - Nice Selection of Sterling 925 & Mexico Sterling Silver Necklaces & Earrings, 12K Necklace is 6.17 grams. 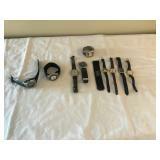 Lot # 83 - Small Selection of Watches: Kenneth Cole, Swiss Army, Field & Stream, Disney, DKNY & More. 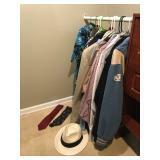 Lot # 85 - Mens Shirts, 1 Suit Jacket, Letterman Jacket, Ties, Tommy Bahama Hat & More. 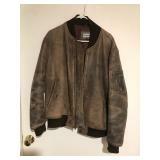 Lot # 86 - Men's Boeing Leather Bomber Jacket - (XXL). 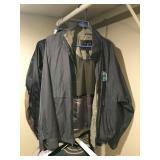 Lot # 87 - Men's Boeing Dreamliner Jacket, Boeing Windbreaker Jacket - (XL). 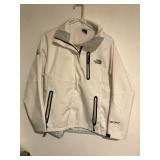 Lot # 88 - Nice Woman's North Face Summit Series Wind Stopper Jacket - (L). 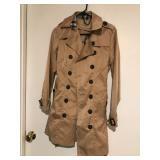 Lot # 89 - Nice Tan Ladies Burberry Jacket - (L). Lot # 90 - Nice Ladies Wool Blend Nautica Pea Coat - (M). 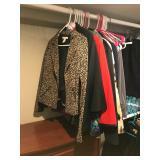 Lot # 91 - Nice Selection of Woman's Blazers, Slacks & Skirts - (4's & 5's). 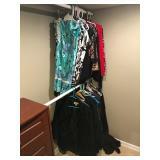 Lot # 92 - Nice Selection of Woman's Dresses, Sweaters & Scarves - (Small & Medium). Lot # 93 - Nice Selection of Woman's Shoes: Jambo, Abound, Sesto Meucci, Tags, Toms, Adidas & More - (Size 6.5). 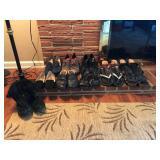 Lot # 94 - Woman's Shoes: R.O.C., Jambu, Eastland, Sketchers, Impo & More - (Size 6.5). 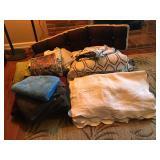 Lot # 95 - Comforter Sets of Various Sizes, Pillows, Pillowcases, Towels & More. 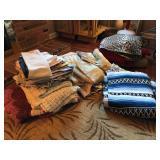 Lot # 96 - Blankets, Afghans, Electric Blanket, Curtains & More. 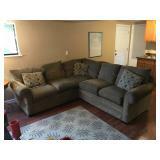 Lot # 97 - Bassett Sectional Couch - (32"t x 96"w x 87"d). 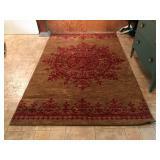 Lot # 98 - Area Rug - (Needs Cleaned) - 102" x 78". 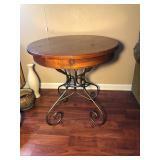 Lot # 99 - Wood Side Table w/ Metal Legs - (28"t x 27.5" Diameter). 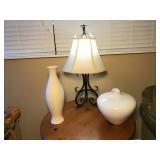 Lot # 100 - Nice Metal Lamp - (28"t), Nice Lenox Vase, Nice Haeger Vase. 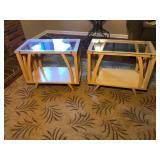 Lot # 101 - Two Vintage Glass Top Side Tables - (21"t x 26"w x 14'd). 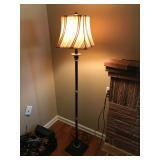 Lot # 102 - Nice Metal Floor Lamp - (62"t). 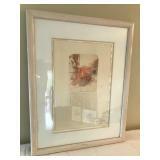 Lot # 103 - Beautiful Framed Lithograph "Villa De Flores" Signed: Diana Reineke - (29" x 33"). 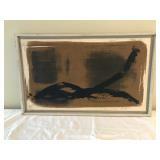 Lot # 104 - Nice Framed Oil on Canvass Signed: Hancock - (29" x 17"). 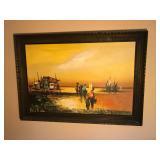 Lot # 105 - Beautiful Framed Oil on Canvass - (Unknown Artist) - 29" x 41". 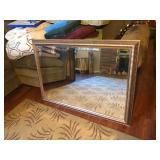 Lot # 106 - Nice Gold Toned Wood Mirror - (28" x 40"). 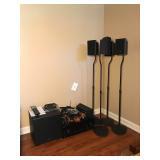 Lot # 107 - Sony Surround Sound System - (Model # STR-DN1030). 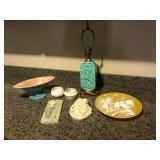 Lot # 108 - Vintage Silver Plated Spoons, Small Vintage Dishes, Vintage Mirror, Blown Glass Purse & More. 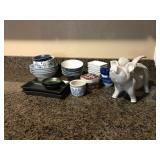 Lot # 109 - Flying Ceramic Pig, Small China Plates, Asian Soup Bowls, Dishes & More. 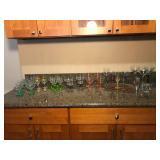 Lot # 110 - Vintage & Modern La Cour Glasses, Martini Glasses, Shot Glasses & More. 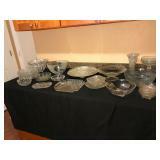 Lot # 111 - Large Selection of Crystal Vases, Tidbit Trays, Bowls & More. 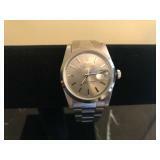 Lot # 112 - J.G. 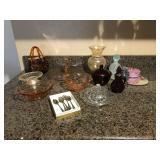 Durand Crystal Bowl, Vintage Candy Dishes, Plates, Vases & More. 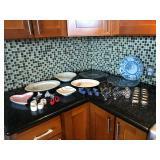 Lot # 113 - 117 Piece of Desert Rose Franciscan Ware. 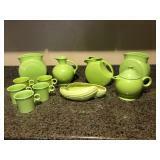 Lot # 114 - Nice Set of Apple Green Fiesta Ware. 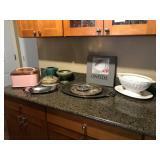 Lot # 115 - Vintage Pink Cake Keeper, Stoneware, Silver Plated items, Frankoma Teapot & More. 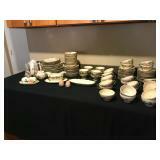 Lot # 116 - Vintage Ceramic Lamp, Court Jester Collectors Plate, Two Small Vintage Belleek Dishes & More. 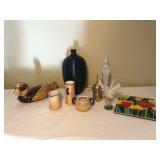 Lot # 117 - Ceramic Pears, Vases, Candle Holders, Candles & More. 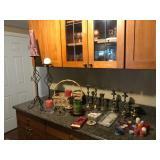 Lot # 118 - Nice Selection of Large/Small Candle Holders, Candles & More. 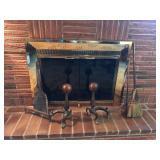 Lot # 119 - Brass Candle Holders, Silver Plated Candle Holders, Candles & More. 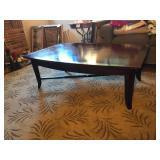 Lot # 120 - Large Wood Coffee Table - (Needs a Little TLC - 18"t x 52"w x 34"d). 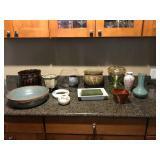 Lot # 121 - Asian Vases, Asian Hat, Parasol, Box, Wine Picnic Basket & More. 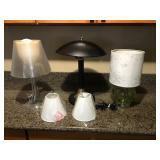 Lot # 122 - Three Small Table Lamps w/ 2 Small Lamp Shades. Lot # 123 - Rare Charpente Porcelain Girl Ballerina Coin Bank, Precious Moments Figurine, Ceramic Mask, Music Boxes & More. 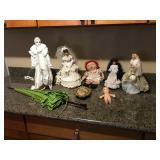 Lot # 124 - Vintage Kewpie Doll, Two Barbie Brides, Porcelain Masquerade, Parasol & More. 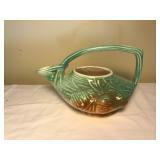 Lot # 125 - Nice Selection of Vases, Indoor & Outdoor Flower Pots. 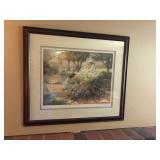 Lot # 126 - Large Piece of Wall Art - (34" x 25"). 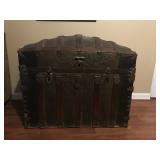 Lot # 127 - Awesome Large Antique Humpback Steamer Trunk w/ Wheels - (Great Shape - 31"t x 34"w x 21.5"d). 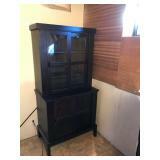 Lot # 128 - Wood Hutch - (Very Wobbly - Needs Tightening - 72"t x 35"w x 21"d). 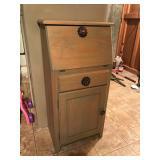 Lot # 129 - Cute Small Wood Secretary - (39"t x 19"w x 13"d). Lot # 130 - Queen Size Box Spring. 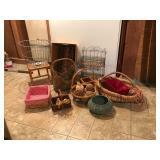 Lot # 131 - Nice Selection of Wicker & Metal Baskets of Various Sizes & More. 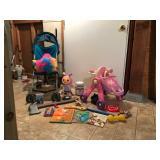 Lot # 132 - Cosco Umbrella Stroller, Children's Toys, Crayons & More. 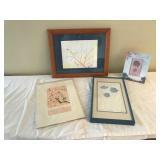 Lot # 133 - Small Signed Pieces of Framed Art, Wedding Album, Picture Frames & More. 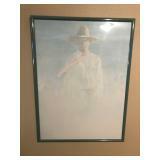 Lot # 134 - Fireplace Doors & Screen - (Needs to be Uninstalled - 28"t x 37.5"w), 2 Brass End Irons, Broom, Poker & Shovel. 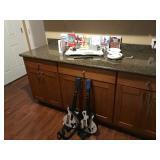 Lot # 135 - Wii Game Console, Wii Fit, Games, Guitar Hero Guitars, Steering Wheels, Show Your Moves Dance Pad. Lot # 136 - PlayStation 3 , PS3 Games, Two Dual Shock Controllers. 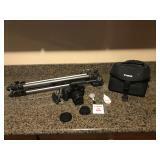 Lot # 137 - Cannon EOS Rebel XS Camera w/ Carrying Case & TriStar Tripod. Lot # 139 - Boeing Lot: 30 Year Pin, Other Pins, Dreamliner Souvenir Camera Tins, Pens, Clock, Airplane Stories Book, Patches. 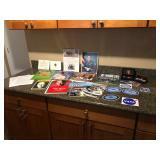 Lot # 140 - Autographed Letters from Various Governors, Autographed NASA Photo, NASA Stickers/Patches, Ken Griffey Jr Programs. 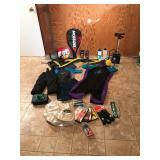 Lot # 141 - New FishTales Ales Promotional Snowboard (61"), Rossignol Elite EXP3 Ski Boots (28.5), Thule Rack, Solomon Gear Bag. Lot # 142 - Men's Body Glove Wet Suit (XL), Jobe Wet Suit (7/8), Flippers, Child Size Snow Pants, Ektelon Racket, Racket Balls. 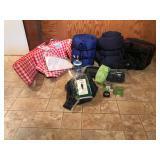 Lot # 143 - Sleeping Bags, Picnic Basket, Picnic Table Bench Pads & Cloth, Travel Bags, Ponchos & More. 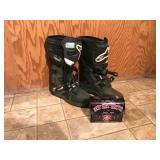 Lot # 144 - Alpine Star Tech 3 Motorcycle Boots (13), Small West Coast Choppers Pail. 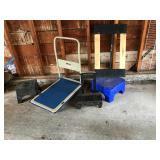 Lot # 147 - Medical Equipment: I-Walk 2.0, Medical Boot, Medical Shoe, Homedics Massager & More. 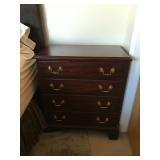 Lot # 148 - Wood 5 Drawer Dovetailed Dresser - (46.5"t x 36"w x 20"d). 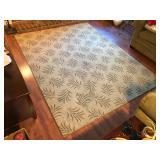 Lot # 149 - Nice Area Rug - (94" x 60.5"). 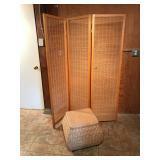 Lot # 150 - Wood Room Divider, Nice Foot Stool Hassock w/ Storage. 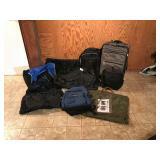 Lot # 151 - Luggage, Jansport Backpack, Boeing Bags, Clothing Bags, Tumi Laptop Backpack & More. 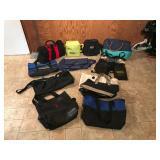 Lot # 152 - Ralph Loren Bags, Alaska Railroad Bag, Insulated Totes & More. Lot # 154 - 7.5' Artificial Christmas Pre Lit Christmas Tree, Light Polar Bear Yard Decor. 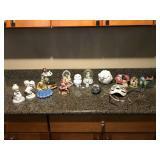 Lot # 155 - Christmas Decor: Candles, Paper, Rugs, Bells, Toppers, Bags, Table Cloths & More. 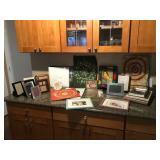 Lot # 156 - Round Table Top Glass Pieces, Wine Poster, Vintage/Modern Table Cloths, Placemats & More. 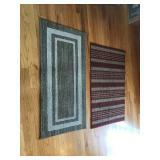 Lot # 157 - Two Entryway Rugs - (Green - 48" x 24", Red - 45" x 29"). 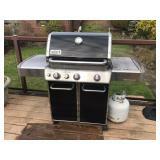 Lot # 158 - Weber Natural Gas 3 Burner Grill w/ Additional Propane Tank & More - (Right Side Door Needs Reattached).. 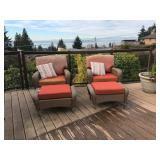 Lot # 159 - Two Very Nice Wicker Outdoor Patio Chairs & Ottomans - (Cushions Are a Bit Faded & May Need Replaced). 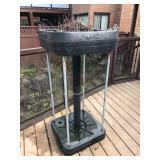 Lot # 160 - Cement/Metal Patio Table w/ 4 Chairs, Tan Umbrella & Umbrella Stand - (Umbrella is not Pictured). 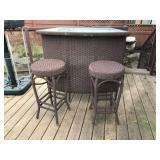 Lot # 161 - Patio Bar w/ 2 Bar Stools - (Needs a Little Cleaning - 44"t x 50"w x 23.5"d). 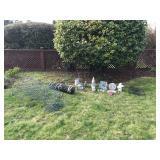 Lot # 162 - The Pug Company Upside Down Patio Garden. Lot # 163 - Yard Art, Patio Wall Art, Trellises, Fencing & More. 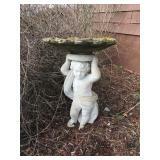 Lot # 164 - Awesome Cement Statue/Birdbath - (33"t). 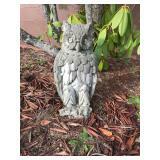 Lot # 165 - Cool Cement Owl Statue - (21"t). 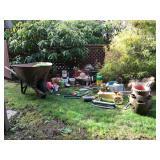 Lot # 166 - Gardening Lot: Wheel Barrow, Nice Garden Hose, Flower Pots, Sprinklers,Yard Tools, Bird Feeder & Much More. 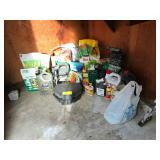 Lot # 167 - Yard Chemicals: Rodent Traps, Turf Builder, Blood Meal, Weed Killers, Grass Seeds & More - (Some Full, Some Not). 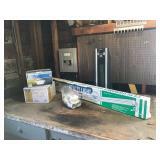 Lot # 168 - Cleaners, Paints, 4-Cycle Oil, New/Full 1 Gallon Deck Cover & More - (Some New & Some Used). Lot # 169 - Razor Scooter, Old Croquet Set, 2 Saucer Snow Sleds, Slip & Slide. 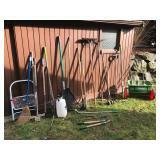 Lot # 170 - Yard Tools: Broom, Rakes, Hoes, Clippers, Edgers, Aerator, Thatcher & More. 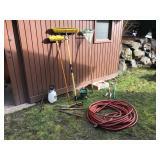 Lot # 171 - Gorilla Ladder, Push Broom, Rake, Spreader, Yard Tools, Yard Waste Bags, Nice Garden Hose. 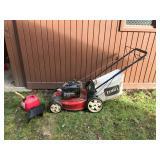 Lot # 172 - Toro 6.75 Self Propelled Lawn Mower & Gas Can. 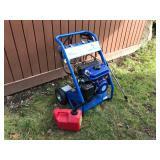 Lot # 173 - Pacific HydroStar 2,000 PSI Pressure Washer w/ Gas Can. 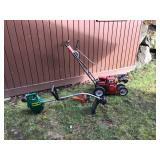 Lot # 174 - 3 HP Briggs & Stratton Edger, Weed Eater, Electric Hedge Clippers, Gas Can. 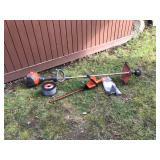 Lot # 175 - Gas Powered Husqvarna Weed Trimmer & Line. 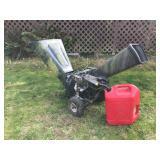 Lot # 176 - Craftsman Wood Chipper w/ 5 Gallon Gas Can. 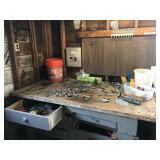 Lot # 177 - Metal Shelving Unit - (72"t x 48"w x 24"d). 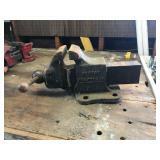 Lot # 178 - Large Craftsman # 5181 Bench Vice. 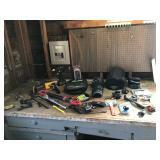 Lot # 179 - 3.5" Companion Bench Vice, Levels, Voltage Meter, Oil Filter Wrenches, Knee Pads, Saws & More. 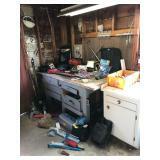 Lot # 180 - Wrenches, Sockets, Bucket Full of Misc Tools - (Some Craftsman, Some MAC & More). 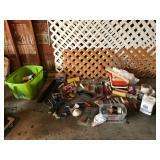 Lot # 181 - Nice Selection of Extension Cords of Various Sizes, Power Strips, Drop Light, Cord Reel. Lot # 182 - Power Tools: Chicago Electric 1/4" Router, Router Bit Set, Chicago Elec Chain Sharpener, B&D Cordless Drill & Light. 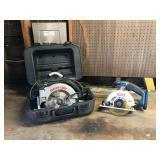 Lot # 183 - Porter Cable 15 AMP Circular Saw w/ Case, Ryobi Cordless Circular Saw - (No Battery). 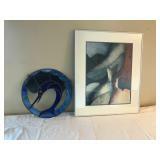 Lot # 184 - RotoZip Rebel Spiral Saw, Dremel Tool. 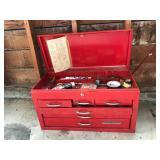 Lot # 185 - Waterloo 6 Drawer Metal Toolbox w/ Misc Tools - (14.5"t x 26"w x 12"d). 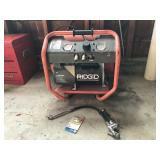 Lot # 186 - Ridgid Air Compressor - (Powers On). 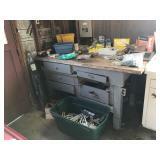 Lot # 187 - Nice Selection of New & Used Hardware, Steel Wool, Oil Cans, Nice Brass Pulls & More. 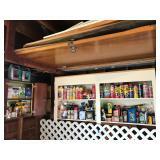 Lot # 188- New Utility Light, Ceiling Lights, Solar Lights, Safe Heat Heater. Lot # 189 - Schumacher Batt Charger, 5-n-1 Portable Power Pack, Heater/Defroster, '14 Subaru Forester Floor Mats, Hitch & More. Lot # 190 - Hunting Book, Machining Books, Hardware, Nails, Screws, Tools, Craftsman Strap Wrench & More. 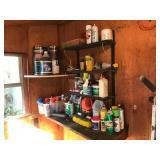 Lot # 191 - Painting Supplies: Sprayers, Adhesive Primer, Tapes, Rollers, Brushes, Pans, Calking Guns, Plastic & More. 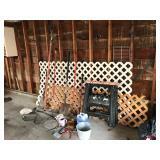 Lot # 192 - Two Plastic Trellises - (95" x 47.5"), Wood Trellis - (95.5" x 24"), Saw Horses, Shovels, Baskets, Hand Tools, More. Lot # 193 - Care Care, Insect Repellents, Glass Cleaners, Spray Texture, Calking, Paint Thinner, Glue, Goo Off, RainX, K&N Kit. 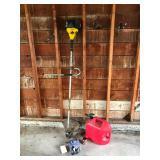 Lot # 194 - Mac 3227 McCulloch Weed Trimmer, Trimmer Line & Gas Can. Lot # 195 - Hand Cart, Furniture Dolly & Stools. 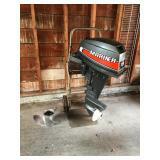 Lot # 196 - Mariner 15 Outboard Motor - (Ran Last Time it was Used), Outboard Boat Motor Prop. 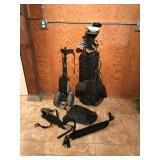 Lot # 197 - Cordless Inflator, Biking Gear, Motorcycle Shin Pads, Cases, Bags & More. 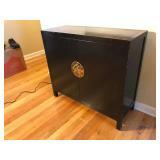 Lot # 198 - Wood Cabinet for Garage - (37.5"t x 25"w x 26"d). Lot # 199 - Nice Little Selection of Knives. 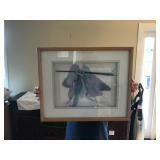 Lot # 200 - Five Fishing Nets. 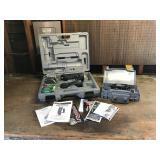 Lot # 201 - Two Plano Tackle Boxes w/ Tackle & Bait & Fishing Poles. 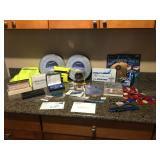 Lot # 202 - Deep Sea Fishing Rods: SeaHawk, Shakespeare, Ugly Stick, Tide Water, Ultra Fast, Quantum & More. 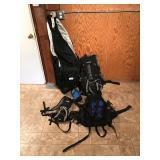 Lot # 203 - Lot of Misc Fishing Poles, Two Tackle Boxes Full of Tackle. Lot # 204 - Vintage Fenwick Fly Fishing Rods - (See Pictures for Models). Lot # 205 - Open Faced Fishing Reels, Bait Caster Fishing Reels: Eagle Claw, Abu Garcia, Daiwa & More. Lot # 206 - Five Vintage Pflueger & Penn Bait Caster Reels. Lot # 207 - Four Fly Fishing Reels: Shakespeare, Phflueger, Compac. Lot # 208 - Six Penn & Ocean City Deep Sea Fishing Reels. Lot # 209 - Five Penn & Shimano Deep Sea Fishing Reels, Fishing Cookbook. Lot # 210 - Nice Selection of Ammunition Reloading Dies, Gun Cleaning Kits, 2 Wood Rifle Cases, Military Backpack, Camo Gear. Lot # 211 - Camping Lot: Folding Picnic Table, Metal Chairs, Coleman Coolers, Large Stock Pots, Inflatable Mattress & More. 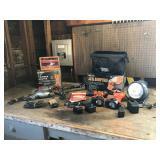 Lot # 212 - Cast Iron Dutch Oven, Coleman Coffee Maker, Camp Stove, Military Shovel, Large Case of 4 Lanterns & More. 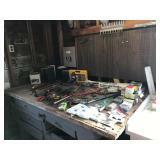 Lot # 213 - Nice Selection of Fishing Tackle: Line, Hooks, Lures, Spinners, Leaders, Weights. Lot # 214 - Outdoor Lot: BagBoy Golf Cart, Yoda Club Sock, Golf Balls Galore! !, Umbrellas, Baseball Gloves, Balls & Much More. 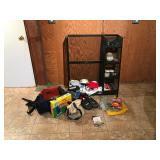 Lot # 215 - Misc: Board Games, Humming Bird Marine Radio, TomTom, Glucose Monitor, Blow Dryer, Binoculars, Cannon Camera & More. Lot # 216 - Little Chief Smoker. Lot # 217 - 202" Fiberglass Sea Kayak, Paddles, Life Jackets. Lot # 218 - Inflatable Swimming Floats, Pump, Scuba Diving Gear.